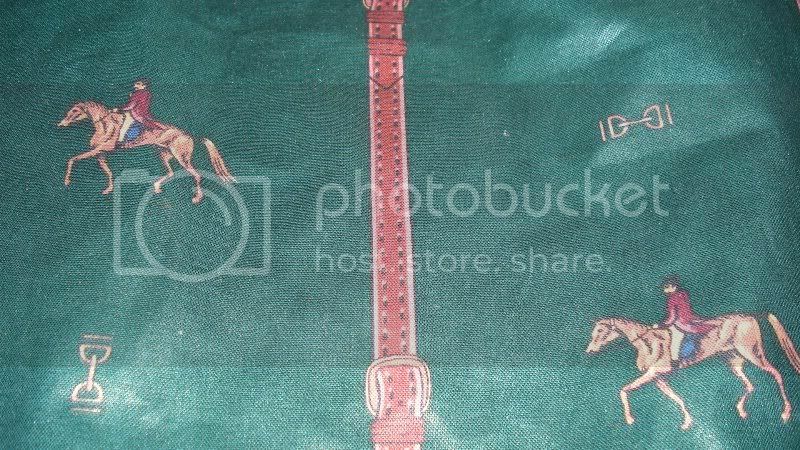 Horse and rider motif decorating fabric. 54" wide cotton. Hunter green/burgundy. Notice the buckle on the stripe. How clever.